Off Topic / Re: The Forum Has Been Dead Lately Is There Something To Liven Things Up? I hate to be the guy, and every forum has one that brings people down. I don't want to always be negative and only try to come on when I have a very positive and thought provoking topic to share. I feel so bad it's been a while. I just feel lost in life and things are getting a bit down. I lost a very valuable job oppurtunity out of anxiety holding me back and I had a relapse of sorts with social anxiety. I feel despondent again and fearful of criticisms from others. So I have become a recluse. I have clinical mental issues I struggle with for years. But things are getting better and maybe I will be able to get the happiness back soon. Classic Video Games / Guinness World Records Official Largest Video Game Collection! Reaction Thread. Does this god reside among us in these forums? Is it the flea? I really am flabbergasted about how amazing this man's collection is and the sheer passion and effort he has for games. I really hope he makes more videos on a channel similar to AVGN or Gaming Historian so we can see his amazing grails and knowledge. He has a full Wii, Wii U, N64, SNES, NES, Genesis (MegaDrive), 360, Xbox, PS2 and PS3 sets among others. Thousands of PS1 to Switch and XB1 games. PS4 games in the hundreds. A full Vita and Full PSP set among countless odd ball stuff like neo geo pocket color sets and amazing amounts of amiibos and swag. . He is basically god. He's our lord and savior. He is the nerve of nazareth, the second coming of the messiah, the holy power, the choir that spoke the world of the holy prophets who reigned before us. He's the son of mary, father of joseph. The legend himself. He is Christ before and after the cross. And he is everything I asspire to be. I'd furthermore kiss his floor but I would not be worthy of such. I hope everyone has a happy week and enjoy the discussion about this monumental video. I know many of you may already know this man. I'd love to hear about him or hear from him about his mighty collection. Does anyone know if this man is a member here? Off Topic / Re: How Did VGcollect Start Off? How Were Things When This Site Was Newer? I started using VG Collect, I think around 2015. Maybe 2016. I was just getting into heavy video game collecting and I needed a database to keep track of what I had and didn't have. So I found a different catelog site that had limits on how much you could put into your collection without paying. It made you pay to breathe. It was a big scam and it didn't even have many games because it didn't have the community this site had. When I first joined I never knew of the forums, I thought it was just a cateloging site. But than I started seeing many awesome posts and decided to join in the discussions with people. My first post was about Prince's death being caused by the illuminati because he spoke out on chem trails. I met a lot of awesome people. For some reason it seemed more busy back than. I noticed a few regulars stopped using. But many new members joined, like Kypherion and Seether. So I guess it evened out. I love this site very much, it is a inviting environment with accepting forum mods and admins. No matter what I sell on there, I always cringe when I list a video game. The people who bid on them are by far the most immature and annoying people I have ever dealt with. Not all of them are, but on the whole I know that I'm about to deal with some real a$$ clowns every time I list a video game. I always want to reply to them with "Are you 14 years old or do you just act like it?" Music, movies, electronics, baseball cards...all of them are better to deal with than the video game buyers. And many of them try to rip you off but they always go away quietly when you provide the tracking number with delivery confirmation for the game they "didn't receive." I'm sure none of you fall into this category, but as a seller I always know I'm about to deal with a bunch of garbage every time I list a video game. I agree, being a seller can be such a heartache. I have luckily only had one major annoying customer. Who blatantly ripped me off by doing the old switcheroo. I sold him a perfect NES, it was stunning and than he lied and said he recieved a dirty yellow one. I had no way of proving him wrong so I had to take back his yellow one and lose 70 bucks. I also always laugh at the offensively low offers, or when people message you saying "has my item shipped yet, what's taking so long?" when it's a sunday or a federal holiday lol. I do agree video game market in general is very toxic compared to comics or toys. A lot of backdoorings, throat cutting, low balling and aggressive remarks to people. Locally in my city is worst. My city has a lot of crime. I'll never try to buy or sell in my city again. I have been stood up so many times by both sellers and buyers. Just leaving me holding the bag. Ok, guess I can toss in. Very bad, quickly taken image incoming. Was actually thinking about cleaning things up, making it more orderly and deciding what I do and do not want to keep. 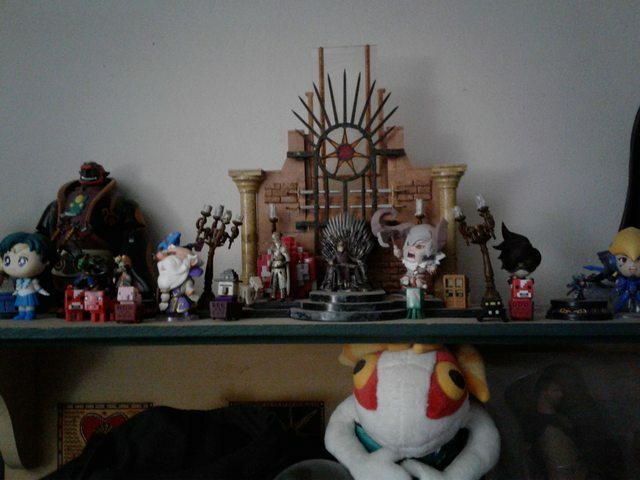 That's not everything, either, just what was small and easy to put up on a small shelf I happened to have. Modern Video Games / Re: What are your fave games of this gen? I didn't much like Let's go Eevee. When you can kill brock using nothing more than a lvl 7 pikachu (rock types are resistant to him), no grinding it's broken imo. I could never make it challenging enough to be fun. Even a little hard. It might be the worst Switch game I ever played. And the only game I have ever owned that I sold within 3 days. 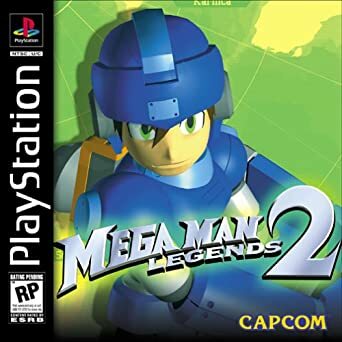 I just hated how they decided to nerf everything because it's a kid games. We were kids when the first ones came out too. If it got hard we sucked it up or found a different hobby. But I can on rants about that disaster all day lol I just hope they don't nerf the official pokemon Sword and Shield duo or i'll probably boycott Nintendo for a year. 3. Zelda BOTW - My favorite Zelda. Truly breath taking beginning to end. I won't ever forget waiting in line so anxious and getting home with it. I felt like a kid again. 4. Mario Kart 8 Deluxe - One of my fave Kart Racers and my favorite Mario kart ever. 5. The Last of Us Remaster - I guess it counts lol. But it's truly awesome. 8. Call of Duty WW2 - I know Call of Duty has gotten very cliche and I am saddened by their attempts to cash in on Royale games. But I really loved WW2. It was the one that stood out. It was fresh. They promised a authentic boots on the ground experience and I think they delivered. It all felt very true to the old days of COD. And the story was impressive. Classic Video Games / Who has best cover arts? Japan or US? I know this varies by game, but as a whole. If you had to choose either Japan cover arts or US cover arts for the rest of infinity, which would you choose as having better covers? I have made a thread before comparing Japan versus American consoles like Famicom vs NES. And the art styles of the boxes and controllers. So I thought this would be interesting too as their is so much variances. I personally think Japan almost always has way better covers imo and I always love how they look. But I think this might be because I am from the United States so I have become accustomed to our covers. This is why Americans love Japanese culture so much and vice versa. Because it's different and new. And the covers seem to be so colorful and fun to me. Here are some examples of comparisons. 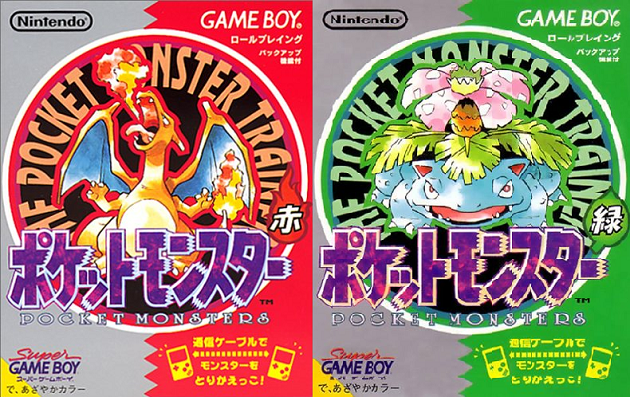 First i'll start with one rare occurance that I think US did way better than the Japanese version. 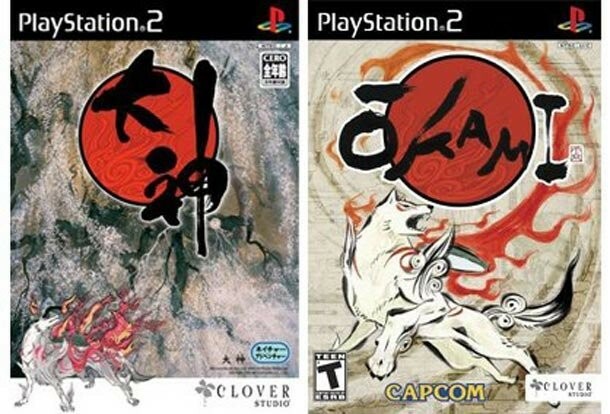 I love the US design of Okami. It really pops and is beautiful. 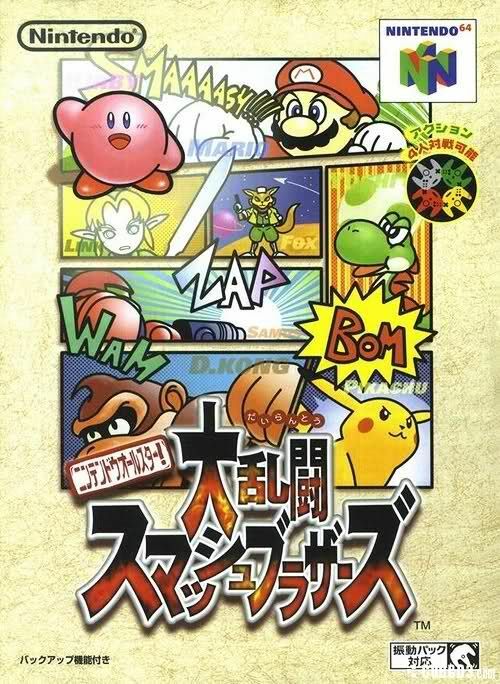 Here is the JP version of N64 Smash Bros. It is awesome looking. It looks like a comic book almost and has nice artistry. 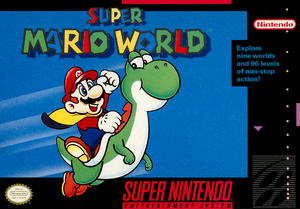 Using our Super Mario world as comparison, it doesn't have the popping backgrounds, colors. Just a blue wallpaper PNG from google images and the basic Mario and Yoshi. Much worst imo. Although I love it because it's my childhood . One of the biggest comparisons is Rockman vs Megaman. A huge debate of namesake and even design. The American covers on Mega Man are notoriously EBOLA. And JP does better imo. .
FFX is another that I think US won by default. I love the US cover for this one. Out of all examples you can think of. Who do you think has more consistently better covers? JP or US? I know PAL sometimes has exclusives covers too. But I wanted to keep this simple between the two biggest comparisons as many of the time UK adopts US's cover. I was going to make a separate thread about being unhealthily addicted to Funko Pop figures but I think this might be the place . Funko Pops have completely consumed me. I just came back from newbury comics and hot topic and I bought so many. The black souless eyes peering into my depth of what makes me human. Analyzing every mistake I ever made. Knowing my twisted perversions and keeping me in place as they are of the spirtual realm and I am only of physical property. I love my gang of little plastic cute toys . I think they go hand in hand with Amiibos and other game collection collectibles but they have diversity outside of games like TV shows, Movies and Prince. 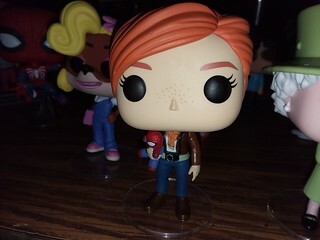 My favorite thus far might be Mary Jane. She is holding a little spiderman doll and I think it's adorable. I have a spiderman that goes with it and it reminds me of happy times playing the spiderman game for PS4. I will share a pic. 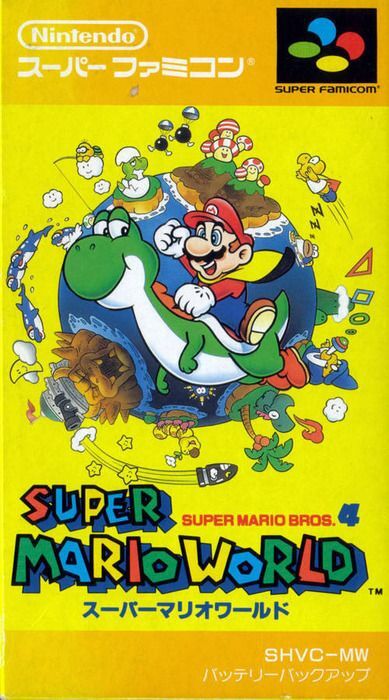 Classic Video Games / Re: Personally, still the best game franchise from the Nes days. Off Topic / Re: If You Lived In A World Where You Could Do Anything How Would You Live? If you ever went to a world where anything was possible for example, you had the choice of doing anything, what would you choose to spend your endless choices or freetime doing or working on? like fly or travel anywhere, or have and play any video game in existence or watch any movie or listen to any song, read any book or raise a family, or work on various other hobbies. In A world were you would never die, unless it was your own choice and you wanted to experience this kind of life all over again. would you be an individual who would want to live another limited life in this world all over again. from start to finish with all of this life struggles, challenges or perhaps you would want to live in a time on Earth without any of the convenience of like how most of us live today? Or perhaps the extreme living a life in a world where people were said to be more brutal and primitive like ancient Roman Greek or Viking times, with apsolutly no media except for maybe books and live shows. Do you mean do anything meaning like fly and have super powers and stuff or just do anything meaning their are no laws or financial worry? I will answer both ways just in case. If you mean do anything, i'd fly around the world and see all the places I want to see with bird wings made of glacier dust and i'd fly into tornados and hurricanes and cause big tidal waves to splash through and i'd swim down to the depth of the RMS Titanic and rip a chunk of it off to keep in my room . I'd develop a cure for autism and Cancer and try to make the oscars fair by manipulating the molecular structure of the academy so they could be less biased. I'd telephatically lift cows off the ground to spook farmers. Like Jesus cows that punish the farmers for harvesting their flesh. I'd rescue the Aliens that they have being manipulated and raped with invisbility cloaks and area 51 and i'd drink water on Neptune And i'd ressirect Charles Manson. I'd time travel to see the dinosaurs and bring one back to modern day earth. And i'd teleport every single member on this page's wishlist of games into their home so they have all the games they ever wanted and i'd make earth rain NES games and gold liquid. . If it's just no laws and having a lot of money I'd probably live life similarly because I still respect others and wouldn't want to steal or kill. And I want to be financially responsible if I ever got rich even though i'm a horrible budgeter. I'd probably fly around the world to England and Japan and stuff and try all their foods and cultures and i'd buy my dream car (Porsche 918 spyder) and i'd have a lot of funko pop figures because i'm obsessed with them . I'd buy my mom and dad a house and i'd buy a south dakota class battleship. There’s only a certain number of AAA games released each year to pick from. Of those only a certain few appeal to me. I’m very intentional with what I play so when I want to play something, I really want to play it. I don’t have that “I’m interested in this but only when it hits this price” mentality. If I’m interested in a game it’s very valuable/enticing to me and when I’m not interested in a game it’s worthless to me. There are many games that I could scoop up very cheaply at $10-15 but even at those prices I have no inclination to want to play them. The scarcity of games I really want to play makes them a very easy sale to me even at $60. I could (and likely would) be waiting months until another new game rolls around that peaks my interest. If a game doesn’t excite me enough to play on day one, I likely don’t care about playing it at all. There was a time I wanted to budget to buy a new game every month but then I looked at the release date schedule and there wasn’t a game released every month that I cared enough about to play. I can usually count the games I get really excited about in a year on one hand, at best they roll around once every 3 month, so why deprive myself to save a little money. If I didn’t buy the games I love day one I would go for months and months without a new game. I’m so selective that even being a willing day one buyer I do go for months and months without a new game anyway. It just doesn’t make sense to pass up on games I want to play until they drop in price. There isn’t enough to play. Modern Video Games / Re: How much longer do you think the 3DS has? 3DS isn't dead yet? I really do think it'll be another 5 years like Vita because Nintendo will refuse to let it die to keep the sales it does get which is still quite a bit. Pokemon Sword and Shield should be the dagger in it's neck in terms of relevance though. I love 3DS very much but I sold mine along with all the games the moment Switch was released. It defeated it for me unfortunately . Off Topic / Re: Favorite cartoons growing up? 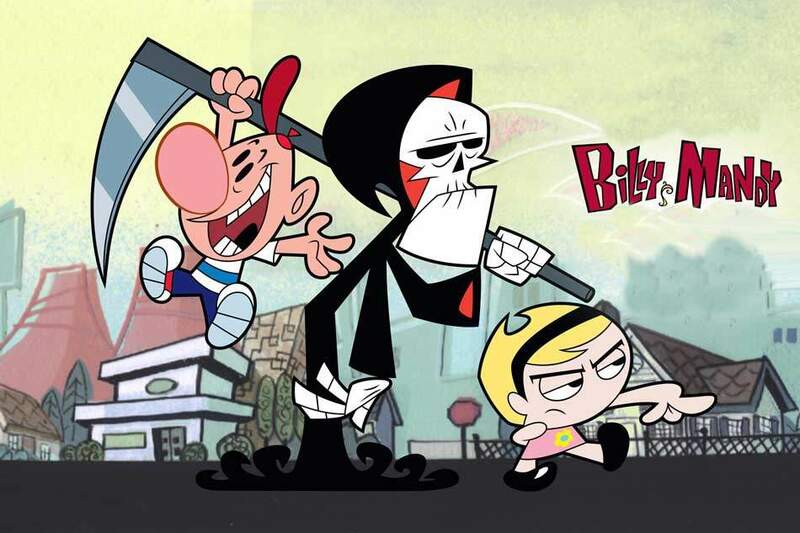 I grew up on the Powerpuff girls, courage, grim adventures of billy and mandy, ed, edward and also eduardo, and dexter's labratory, scooby doo in my real young years. On the nickelodeon spectrum, I binged Spongebob, Jimmy Nuetron and Timmy Turn Fairly Odd Parents. Spongebob defined my childhood and taught me more than any teacher. It represented life struggles, life lessons, complex intricate dry humor along with a cast of characters that is rivaled by almost no other show. 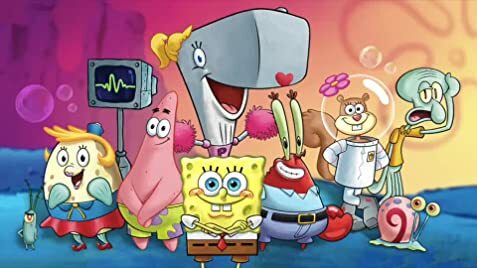 In it's prime (seasons 1-8) it may very well be the greatest cartoon ever made. It's simply god tier in a sense it can entertain any age group. As an adult I can still put on the spongebob seasons and I always find a new joke I always missed before. It's complex, it's unique and it has incredible stories. Like I said earlier, I hit my full Simpsons stride at around 10-12. And might not have fully become a fanatic as a young kid, But I was always a huge fan and always allowed to watch it. I had all the games and figures. No show was as consistent and balanced in it's innovations in the adult cartoon genre. 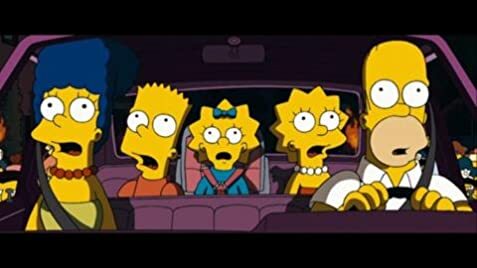 And although it was a little risky for parents to allow young kids to watch, most adults can find pure blissful humor disguised as real life issues that are both relatable and amusing due to the hyperbole the show uses to convey the messages interlaced within the story telling. The writers for the Simpsons were truly on another level and paved the way. It's so hard to pick. So many amazing childhood classics. As an Adult the list is. 6.5 is not a bad score. I'm not sure when a 6 became the new 3/10. I do agree with you that I have played many of actual good games in the 6-7 range. It's just with these blatantly incosident reviewers it's hard to tell what a 6 is. Sometimes an 8 is awful, and sometimes a 5 is good. Many games get insulted by the likes of IGN who really are a partisan hack of an editorial that should never be taken seriously. As a buyer - The worst with buying have all been because of the USPS and Fedex guys mostly. My old mail man for 3 years was essentially the package Jesus. He was a demi god immortal. Beyond flawless. So nice and careful with his craft. The best . But the sunday driver for amazon prime and the new mail man... not so much. More the leave a 500 dollar xbox one x on a porch in the ghetto without ringing the bell type. I fixed the new mail man by having a sit down talk with him by the fire with smores. I offered him propositions of sorts. He was a gracious person. Outside of that, I have had amiibos shipped in bubble mailers arriving crushed by careless sellers. And 1 game that didnt work. A few crushed boxes. Sometimes things that stunk of pot. And one stolen camera because fedex left it on my porch and I was at work. I live in the 43rd most crime ridden city in the US. Tons of theft. Most sellers refund me instantly and ebay sides with the buyer on broken things but dtolen stuff is lost forever. As a seller - Only 1 return knock on wood, he pulled the old swap on me. Really scammed me bad I sold him a beautiful NES. Tested, loved and so clean. He took it, and messaged me with a chipped, yellow junk NES saying I shipped him the wrong one. I had no way of proving and ebay instantly sided with him. So now I have a junk scratched yellow dirty NES and lost 70 dollars. But it was a huge learning experience. Now I film the whole packaging proccess to prove and serial numbers so I know I am getting back what I gave.